Cycling vs Swimming | Which One You Should Add In Exercise Routine? » Cycling vs Swimming | Which One You Should Add In Exercise Routine? ​Cycling and swimming may not seem to have much in common at first – after all, one sport adds a set of wheels under your feet out in the road, while the other has you gliding through water. ​However, cycling and swimming are both excellent forms of cardiovascular exercise, with significant benefits for your health and fitness. For those who are looking to take up either cycling or swimming as a form of exercise, choosing between the two sports is much easier with a head-to-head comparison. Here, we look at the advantages and disadvantages and unique aspects of cycling and swimming to help make the decision easier. ​How many calories does an hour in the pool burn versus an hour on the road? ​Many people take up cycling or swimming as a way to lose body weight, or to prevent gaining weight – and that balance all comes down to how many calories your workout can burn. Swimming is an excellent calorie-burning workout because unlike cycling, there is no way to coast through the pool when swimming. ​Consequently, how fast you are swimming plays a relatively small difference in how many calories swimming burns - as a general rule, swimming burns around 500 calories per hour. To burn calories faster than that while cycling, plan to put in some effort. A 130 pound person would have to cycle at an average speed of around 15 miles per hour to burn more than 500 calories per hour, so that spending any significant portion of that hour coasting on your wheels will leave you with fewer calories burned than swimming. 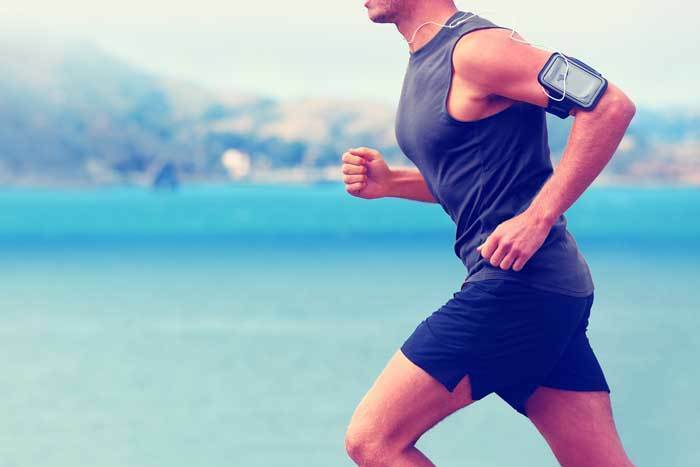 ​Cardiovascular exercise will by definition get your heart pumping, but how hard? ​It’s no secret that both swimming and cycling will get your heart rate up, and often very quickly. However, swimming has an odd side effect on your heart rate compared to land sports – swimming leaves you with a slower heart rate compared to what your heart rate would be for the same level of effort on a bike. This is because the water cools your body and the pressure of the water compresses your blood vessels. Both of these effects make it easier for your heart to deliver oxygenated blood to your muscles, so it does not need to pump as quickly as it would when biking through air. ​It is still possible to highly elevate your heart rate when either cycling or swimming – simply do more, faster intervals! 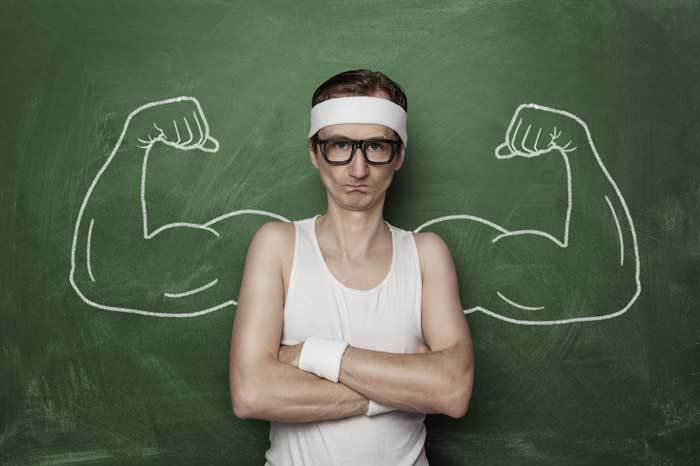 ​For those looking to build strength, where you want it may affect your sport of choice. ​Swimming and cycling are both full body workouts, but the primary muscles engaged by the two sports are distinct. ​And upper arm muscles are characteristic of swimmers because these are the muscles most engaged by arm-centric strokes like freestyle. However, ​swimming by itself is not necessarily a great way to build muscle mass, since the pool provides relatively little resistance and the repetitive motion will eventually lead to leaning of the targeted muscles. 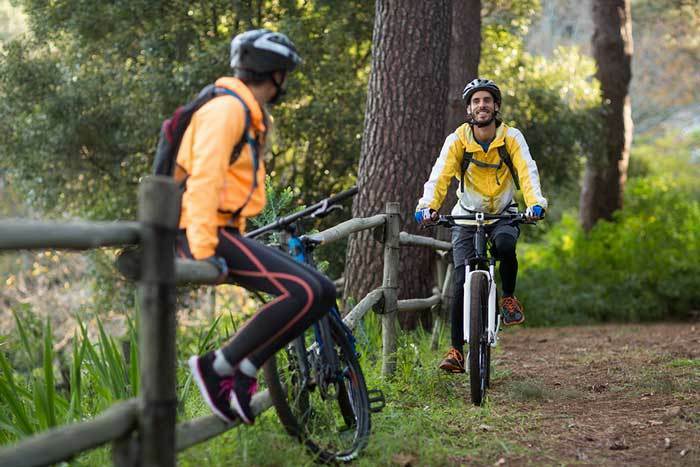 Cycling, on the other hand, primarily engages your quadriceps and – when climbing hills – your calves. And because of the potential to add resistance into your workout by adding gears or seeking out larger hills, it is possible to quickly bulk up these muscles through cycling. ​Injuries can leave you sidelined for weeks. Which sport can help you avoid that fate? 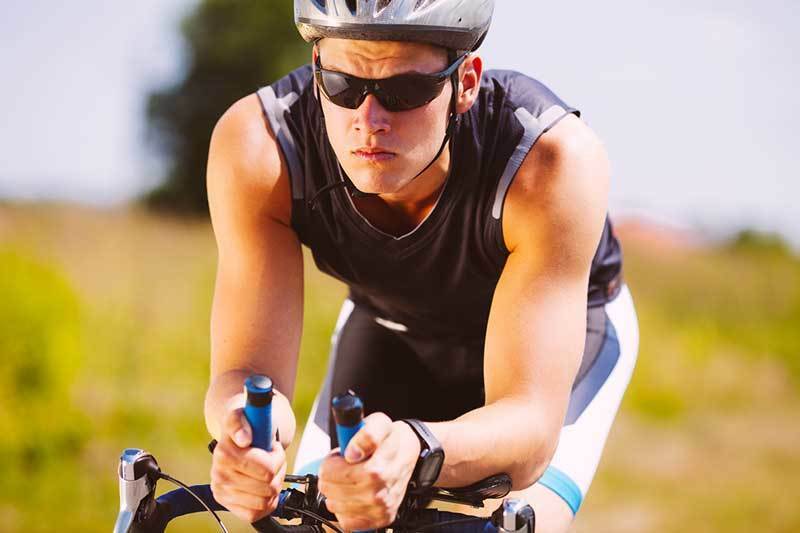 ​Unfortunately, both swimmers and cyclists are subject to the risk of overuse injuries. However, because the sports use different parts of your body most intensively, the risk applies to different body areas. Swimmers are most at risk of developing shoulder and bicep injuries, which can vary in severity and in some cases can be trained through by switching to a different stroke. Cyclists are most at risk of tendon injuries around the hips, knees, and ankles. ​As well as chronic back and neck pain from being hunched over. 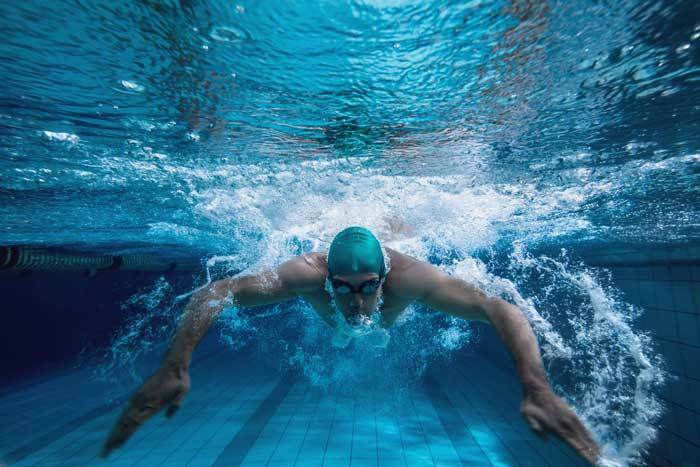 One of the best ways to maintain fitness throughout a period of injury is to switch to another sport that doesn’t aggravate the injury, so swimming and cycling can be complementary for injury-prone athletes. ​You don’t have all day to train, so you need a sport that’s efficient. ​How swimming and cycling stack up in terms of time efficiency depends on your ultimate goal for the sport. If you’re simply looking to burn calories, cycling and swimming will work equally efficiently for you since they both burn roughly 500 calories per hour. However, if you’re looking to bulk up muscle mass, cycling has swimming beat since the former can add mass to your quadriceps at the same time as those calories are burned, rather than requiring a separate weight training session. How you schedule your workouts into your day can also make a difference. Swimming has the enormous benefit for scheduling over cycling that it takes place inside for pool swimmers, so you can ignore the weather entirely. However, for those who are okay hopping on the spin bike when the weather gets bad, this advantage can be somewhat discounted. ​One major disadvantage to swimming for your schedule is that many indoor pools have limited hours, so you’re bound to someone else’s schedule for when you can swim. ​Cycling and swimming are unnatural motions, but one has a much steeper learning curve. ​Cycling and swimming require athletic techniques that are specific to each sport, and highly unnatural compared to the daily motion of walking. On the bike, pushing the pedals down and then pulling up on the back end of the pedal stroke is a technique that takes months of practice to fully develop into muscle memory. At the same time, developing an aerodynamic position that is both fast and comfortable can take years of tweaking, and plenty of back pain along the way. Swimming, however, can make learning cycling techniques seem easy and proper swimming form makes a much larger difference in your ability to swim long distances quickly. Each swimming stroke requires your entire body to move in fluid sequence, and mistiming this sequence even slightly will limit your speed in the water no matter how hard you cycle your arms. Thus, swimmers tend to spend much more time practicing technique rather than speed compared to cyclists. As a result, swimming can be a particularly difficult sport for the uninitiated to break into without a coach to introduce the basics of form. ​How much is your sport going to cost? ​Every sport requires some gear, but some sports require a whole garage full. 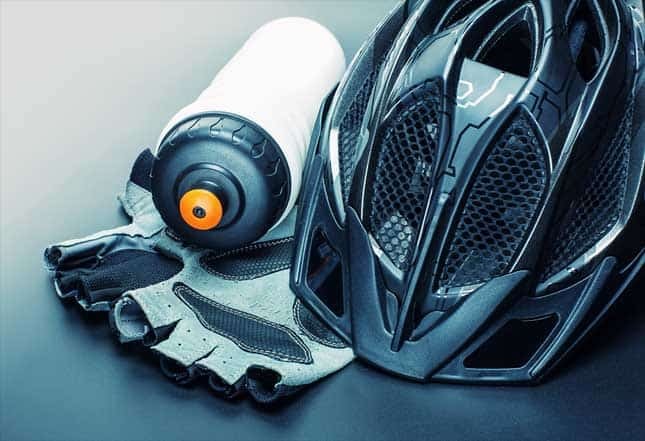 Cycling is one of those sports – in addition to a bicycle, you’ll find yourself weighed down with a myriad of accessories like cycling shoes, a helmet, and all new clothing. The cost of all that gear can add up quickly into the thousands of dollars, too. Swimming, on the other hand, doesn’t require much to get started. The only essential item is a pair of goggles, which can be as inexpensive as a few dollars. While a swimming-specific suit is an excellent and inexpensive investment to reduce drag, any bathing suit will do to get you started in the water and additional training tools like fins, a kick board, and a pull buoy are often supplied with your pool membership. ​Cycling and swimming are both fun sports that can lead to tremendous cardiovascular gains, which in turn has numerous benefits for your health and overall well-being. However, cycling and swimming are very different from one another in terms of their physical demands on your body and the learning and equipment curves associated with each sport. Understanding the advantages and disadvantages of each sport can help choose which is right for you. And if it’s still tough to make a decision, remember you can always take up both!